My Letter To My Republican State Senator Who Supported Bloomberg's Bill To Eliminate "Last In, First Out" (LIFO). My Republican State Senator wrote me a letter on why he supported reforming the seniority-based "last in, first out" (LIFO). He brought up three issues. First, he claimed that Mayor Michael Bloomberg wanted the right to eliminate "poor performers". Second, he falsely claimed the bill S3501-B would include union input and third, would not destroy "collective bargaining". Of course, my Republican State Senator did not realize that I am no fool and here is the letter I sent to him in response. Mr. Republican state Senator: I have been living in my community, which you represent, for the last 27 years and was proud to send my children to the wonderful schools. However, you can't imagine my disgust in your vote allowing New York City's Mayor Michael Bloomberg on his teacher bashing bill to eliminate "great senior teachers' . I am a proud union member who is appaled that Senate Republicans, like you, voted for a blantantly anti-teacher and union bill that targets senior New York City teachers. Your claim in the letter sent to me that your vote was not an attack on "collective bargaining" is far from the truth. Nayor Bloomberg's Bill to end "last in, first out" (LIFO) is simply an end run around the union's contract and the "collective bargaining agreement". How can you seriously claim that you voted for a comprehensive teacher evaluation system to support the end of LIFO which included union input? When in fact, you voted for the Bloomberg Bill that "provides a temporary default layoff mechanism" which includes no union input and therefore, violates the very "collective bargaining agreements" that you claim to support. 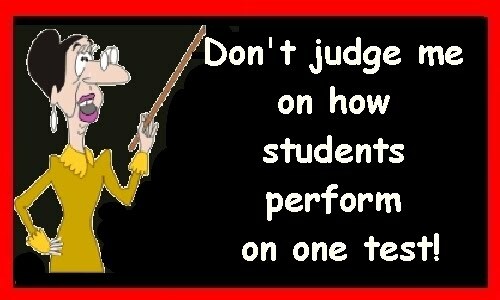 As for teachers who are "poor performers"? Who makes the decision that a teacher is a "poor performer"? Presently, there is no objective mechanism in place that adequately measure a teacher's performance. Consequently, seniority-based layoffs (LIFO) is the only objective criteria to use. The Bloomberg Bill is the Mayor's misguided attempt to get rid of experienced senior teachers in his "education on the cheap" policy, nothing more. Presently, the City of New York can get rid of "poorly performing" teachers by not granting tenure or if tenured, go through the State 3020-a Law for teachers accused of incompetence or misconduct. The State 3020-a is the proper mechanism for terminating teachers. Finally, the Absent Teacher Reserve (ATR) was entirely a creation of the DOE who wanted the right for principals to hire new and less expensive teachers instead of excessed teachers. The agreement with the union (another collective bargaining issue) was that the DOE will not impose an ATR time limit without it being negotiated with the union. I can only conclude from your actions you are either ignorant of the facts or deliberately attempting to start a "slippery slope" to eliminate union due process protections and rights in New York State. Why The Family Unit Is Important For A Child's Success In School And Life. - Let's Fix The Family Unit Where The Problem Really Starts From. I keep hearing that if we keep the "best teachers" our children will succeed academically. Of course, nobody cannot explain who are the "best teachers". 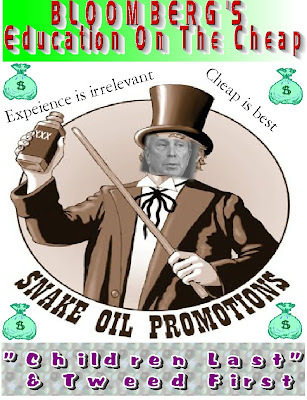 If you ask Mayor4Life Michael Bloomberg and his puppet, the unqualified Chancellor, Cathie Black, the "best teachers" are cheap, young, and not vested. If you ask educators, especially the educators in the trenches they will tell you it is class size, adequate resources, and teaching experience. Obviously, it is the latter that is true. However, what is left unsaid is the social-economic issues that affect students even before they show up at the school. The revision of the New York State cut scores showed a glaring academic achievement gap between income levels and racial composition. This academic achievement gap is greatest in families where there is no father. In particular, it is the child's family unit that is probably the single most important criteria to measure a child's academic success. Studies have shown that a fatherless family leads to an increase in dropout rates for the children of the family. Worse was the academic and economic damage done to children who grow up without a father. Some of the statistics are chilling and can be found Here. For example here are some of these statistics. Fatherless children are twice as likely to dropout. One in three teen mothers dropout. 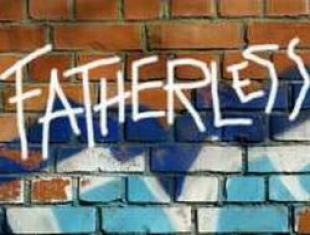 Fatherless children are twice as likely to be incarcerated. Fatherless children do less well in school. Fatherless children are on the average have more behavioral disorders. Fatherless children tend to be poorer compared to their peers. There is much more but you get the picture. In reality, the schools can only put a band-aid on the problem of fatherless children. To really improve urban and poor rural schools the family unit must remain intact and the males must be a father to the children they bring into the world. If we are going to see real improvements in academic achievement, we really need to fix the family unit by keeping fathers in the mix. Without the fathers, it will be extremely difficult to show any real academic gains since the schools can only do so much. Keep the family unit intact and you will see real academic improvement and a closing of the academic achievement gap. It Is Official, Bloomberg Loses On LIFO As The State Budget Will Not Include Any Changes In Seniority-Based Layoffs For Teachers. "There was no substantive discussions," said Senate Education Committee Chairman John Flanagan (R-LI). "The governor and the Assembly were not engaged on the LIFO issue." This puts an end to this phase of Bloomberg's plan to get rid of teachers the DOE does not want and like and save money as a result. The question is what's next? It has been reported in the New York Post that Bloomberg is in discussion with the UFT dealing with the financial crises and I must admit that is a concern considering the union's past history of negotiating behind the back of its' members and are shocked when the City reneges on these agreements at the expense of the teachers affected. However, I do believe Michael Mulgrew is different from Randi Wiengarten and is more loyal in protecting the members than giving in to the City and the DOE. I need not remind the union that the ATR crises was caused by the DOE who encouraged principals not to hire ATRs and to hire "newbie teachers" instead and then use the ATRs for their own political purposes. Therefore, the only negotiated item should be the requirement that Tweed require principals to fill their vacancies with the ATRs. No ATR time limit, no hiring of outside people when ATRs are available in the subject area. No changes in the contract that would endanger the ATRs. The union should also take the offensive and run a new commercial showing that Bloomberg has proposed an increase of 10% for the DOE Administrative Budget along with increases in computer and consultant services while proposing 4,666 teacher layoffs and increasing class sizes. This is opposite of what the Governor has stated. Why the union has not done this yet is puzzling? To me this is a no-brainier, Bloomberg wants to increase Administrative bloated and consultant handouts while hurting the New York City Public School students by increasing class size and laying off teachers. Included in this commercial should include the sound bite that shows Bloomberg saying that teaching experience is irrelevant. We need to be more pro-active and not reactive and let the Bloomberg Administration and his Ed Deformer allies dictate the education agenda. We also need to be vigilant and see what other tricks the Emperor has under his royal sleeve as he looks for more underhanded ways to gut the teachers union. I don't think for a moment that Bloomberg has given up. I am sure he has other devious methods to try before the end of the school year. P.S. Michael Mulgrew should be given the credit he deserves in his lobbying effort with the Assembly and Governor in making sure LIFO stays the law of the State this year and that is no small accomplishment when unions and their collective bargaining rights are under attack nationwide. On The 100Th Aniversary Of The Triangle Shirtwaist Factory Fire - Bloomberg Continues His Attacks On The Teachers Union With A New Commerical . 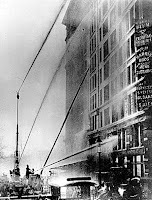 This is the 100Th Anniversary of the Triangle Fire that killed 146 employees, mostly teenage Jewish and Italian girls. This horrific event was very much responsible for the Labor Laws and the "collective bargaining" that we have today. Even Tammany Hall had to support the rise of Labor Unions in the wake of the terrible fire and loss of life. However, the teachers union now finds itself in the cross hairs of Michael Bloomberg's attempt to bypass Civil Service Law and destroy "collective bargaining" rights when it comes to the teachers union. The Mayor4Life has made a strong effort in destroying the Teachers' union by buying off the Republican Senate when he allegedly donated $660,000 for the Republicans to take back the Senate and they did. To thank Bloomberg for his support they passed an alternative to "last in, first out" LIFO for teachers that eliminated seniority rights and would give the City the right to fire (not layoff) any teacher the DOE could not legitimately fire. The phrase in Bloomberg's Bill is as follows. "When schools remove positions for any reason, absent a citywide layoff condition, the sole basis for such decisions will not be employee length of service." Even the Republican Senate realized what this meant after the fact and forced the City to remove the passage in their revised plan which was still "dead on arrival" since the Assembly and the Governor realized that it violated the "collective bargaining" rights of the union. Now on the 100Th anniversary of the Triangle Shirtwaist Factory Fire, the Mayor, using his own money, has an anti-union (mostly anti-teacher) commercial that wants to reduce union rights. For whatever reason the Mayor4Life has continually attacked the Teachers' Union and scapegoated senior teachers. He has refused to give the Teachers' Union the prevailing "City Pattern" that all other unions received. He has gone so far as saying the teaching experience and class size are irrelevant to student learning which made even his education reformer friends cringe as they backed away from supporting that statement. Now he put in an unqualified friend of his, Cathie Black, to be Chancellor which was universally panned by educators and even by the General Public with a 17% approval rating. Now with the 100Th Anniversary of the Triangle Shirtwaist Factory Fire we see the Mayor4Life doing his best to destroy the careers of senior teachers because of the money and to fatally weaken the once powerful teachers' union to the point of irrelevance. 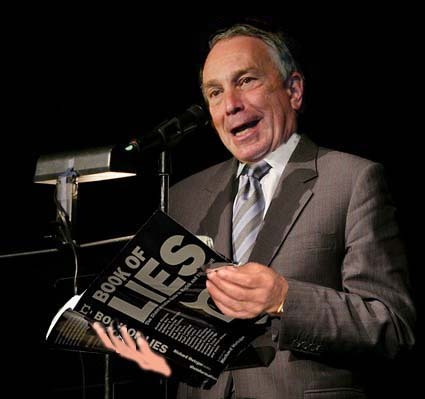 I guess we are seeing History repeating itself as Bloomberg attacks the City Unions and in particular the Teachers' Union as he continues his quest to eliminate senior teachers because of the money not what is best for the children. It is what it is, plain old union bashing that goes back 100 years and more. 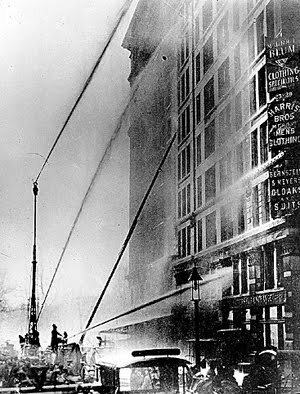 The more things change the more they stay the same and Bloomberg is trying to rollback the clock to the time of the Triangle Shirtwaist Facctory Fire when Labor Laws were weak or nonexistent. Now that the Bloomberg Administration has taken over full control of the DOE finances, some of the Tweedies pet projects are no longer protected by Joel Klein and Bloomberg's puppet, the unqualified Cathie Black is in no position to object. The latest to leave Tweed is Joel Rose, the founder of the School of One who obviously saw the handwriting on the wall when the Bloomberg Administration froze expanding the program. Despite the IBO budget projections that show increases in the Administrative budget and an increase in consultant services it is quite obvious that there will be freezes and even significant cuts once the teacher layoffs are off the table when Bloomberg finally gives up trying to knock out LIFO. His departure follows others Here, Here, and Here since Joel Klein's forced resignation. 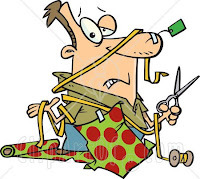 Since the Bloomberg Administration still wants education cuts and will not layoff the "newbie teachers" look for these cuts to come from Tweed. Already Bloomberg officials are embarrassed that the IBO projected a 10% increase in the Central Bureaucracy at the DOE just when the Governor stated that before there are teacher layoffs, the school districts must eliminate Administrative bloat .he Governor's quote was: "This is not about a teacher in a classroom," Cuomo continued. "This is about less bureaucracy." The DOE instead of following the Governor's directive, has actually done the opposite and increased the Administrative costs. Just unbelievable. Furthermore, the DOE has apparently violated Civil Service Law by pushing Parent Coordinators to sign up parents to support the end of LIFO. The Chief reported that Tweedie, Jaclyn Berryman in the Office For Family Information And Action, sent copies of the petition to 385 Parent Coordinators. According to UFT President Michael Mulgrew, the union contact the Special Commissioner of Investigations (SCI) to investigate the case, I won't hold my breath on what SCI finds and what Tweed does about it even if SCI does a fair and unbiased investigation and finds misconduct. 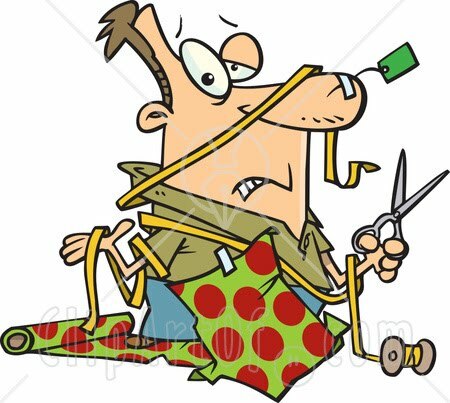 I look for the continuous trickle of high level Administrators leaving Tweed to turn into a flood as drastic cuts to their pet programs will be on the Bloomberg chopping block once teacher layoffs are off the table. and these rats will be evacuating the sinking ship called Tweed. Good riddance. Let them do damage to other school districts, we have had enough of their ideas that don't seem to translate into real student learning. Unions Level The Playing Field Between Employers And Employees & Check Employer Abuse. There has been much criticism about unions over the last year. 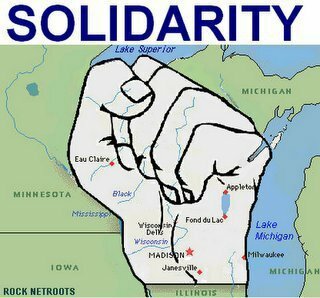 Wisconsin, Ohio, Indiana, New Jersey, and even New York City unions have seen attacks on their very existance. The Republicans have jumped on the anti-union bandwagon and even in union-friendly States like New York have tried to pass legislation that would limit or destroy the union's right to collectively bargain. The question is why now? The short answer it is a recession out there with a nationwide unemployment rate of 9% and an additional 16% underemployment rate. That means a quarter of the working nation is not able to maintain their expected standard of living. These people need to blame somebody and they listen to the mass media and the politicians on who to blame. Do the news media blame the Wall Street bankers who gave out mortgages to credit unworthily people causing a major housing crises that started the recession? Or the hedge fund managers who manipulate the markets that results in phony profits, when it really was a deficit? How about the corporate speculators that buy and sell companies based upon their whims that result in many layoffs? No, the news media and their Republican allies blame the unions. The unions are an easy scapegoat for the country's economic ills. Take away the outrageous bonuses for Wall Street? No way! How about eliminating tax credits for companies that move overseas? Bad for the country. How about making the rich pay their fair share of taxes? Do you want to hurt the American economy? However, these very outlets that defend Wall Street, Corporate tax loopholes, and low tax rates for the rich have found something they seem to all agree on. That is to reduce the benefits of Public Workers. To them it doesn't matter that when jobs were a plenty, many workers didn't want the sub par salaries (teachers) when they can make 25 to 75% moire as a professional in private business but with a recession, these jobs dried up and now these public worker jobs look good. The result is a jealously by the very people who snubbed these jobs in the first place and now demand that the public worker "due process" and fringe benefits be reduced. Across the country the many news outlets want a rollback of public worker health and pension benefits. Wisconsin, Ohio, and Indiana are only the latest States to pass legislation to do just that. Even in a hotbed of unionism like New York health and pension benefits are under attack by the very politicians who approved these benefits instead of wage increases in the first place. According to the politicians "that was then and this is now". Worse is the attack on the union's right to "collective bargain" a contract. The elimination of "collective bargaining" is the main goal for many States as it will give the employer the upper hand in negotiating a contract by imposing whatever conditions it desired. For example if the teachers' union did not collectively bargain a contract, Mayor Bloomberg could simply end "last in, first out" (LIFO) by decree and fire teachers the DOE does not want or like. Both internally and externally the unions must band together and not give one inch when it comes to public worker rights. This is not the time to snipe at each other while we are under attack. 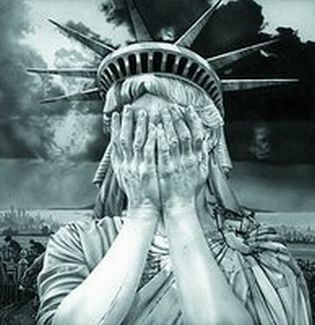 Divided can only result in giving up our precious Civil Service protections will start a "slippery slope" that will result in losing more of our "due process" rights. Once we lose those rights we will never get them back and make our unions toothless. Only the unions keep employer abuses in check and level the playing field. Our unions deserve 100% support in their stated goal to fight this Media and Governmental onslaught against worker rights. 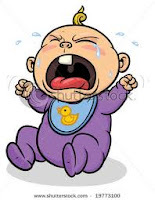 In what could not have been shocking to anybody who understands what is going on at the New York City Public Schools, Cathie Black's approval rating was 17%!. Actually I was somewhat surprised that her approval rating was even that high since she has taken over the reins at Tweed she has made herself a non-entity and irrelevant. Cathie Black is not allowed to make policy decisions and rarely grants interviews, only carefully planned photo ops. Even the New York Post's usually Tweed-friendly Michael Goodwin has questioned her ability to lead the New York City Schools. 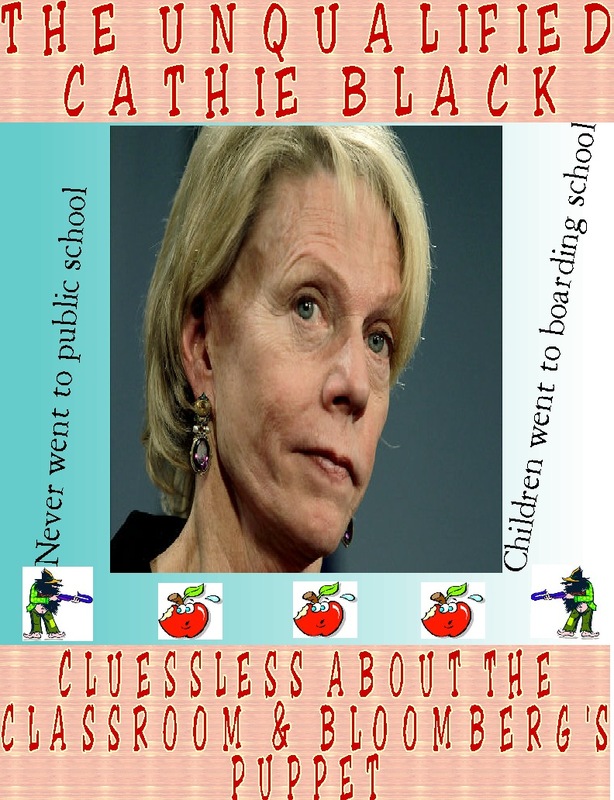 Most disturbingly to her few defenders, is that Cathie Black has even lower approval ratings with mothers who send their children to the New York City Public Schools, an astonishingly low 13%!. I am sure it does not help that Mayor Bloomberg's approval rating is only 28% with parents who have children in the schools. However, in Cathie Black's tenure she has not made one positive change that would bring confidence and support in her continuing as Chancellor. In fact she is now saddled with various negatives, some of her own making, that has resulted in increased calls for her removal as Chancellor. Let's look at these negatives. No experience in the New York City Public School System. She went to a private school and her children to boarding school. Lack's educational credentials and needed a State waiver and conditions to be allowed to become Chancellor. Her gaffes she makes like "birth control" to reduce classroom overcrowding. "Sophie's choice" to determine where to cut the budget. As well as mocking parents, students, and teachers who showed up at the PEP with chants. The ill-advised policy of demanding (not asking) principals to return 50% ( now 30%) of the money they intend to rollover to next school year to protect jobs for staff, then fails to specify where the returned money will be spent on. Her staff pushing parent coordinators to sign up parents to lobby for the end of LIFO which is a violation of the "no politics' mission of the office and an apparent violation of Civil Service Law. To make matters worse, the Independent Budget Office (IBO) shows that the 2011-2012 school budget shows significant reductions in school funds (3%) while increasing the Administrative Bureaucracy by 10%, Charter school spending by an astounding 689 million dollars, or a 12.4% increase and an additional increase in both consultant and computer services. See the UFT take on the DOE budget priorities here. Instead of reducing Administrative costs as the Governor wants, Tweed under Cathie Black is proposing an ever-increasing bureaucracy and associated service providers at the expense of the public school students in the schools. Of course, this is not Cathie Black's doing but Mayor Bloomberg's campaign to get rid of senior teachers no matter how it hurts the children. Unpopular with the public, unqualified to be Chancellor, Bloomberg's puppet, and downright bad for the classroom, that is how I characterized Cathie Black. Even Governor Andrew Cuomo Wants To Know Why Is The Emperor Michael Bloomberg Not Looking To Cut Costs At The Central Administration In The DOE? It appears the Governor, Andrew Cuomo has had enough about New York State School Districts, including New York City, threatening teacher layoffs while hiding Administrative bloat. "This is not about a teacher in a classroom," Cuomo continued. "This is about less bureaucracy." Even the New York Times has questioned the DOE's creative accountability on how many teachers will leave the system at year's end. The DOE estimates only 1,500 teachers leaving the system while the last two years nearly 5,000 teachers left. Furthermore, the DOE admits that they do not take into account teachers who leave before June 1, 2011 and as the rubber rooms emptied quite a few teachers resigned in February. Why did the DOE short the teacher attrition rate by 1,000? 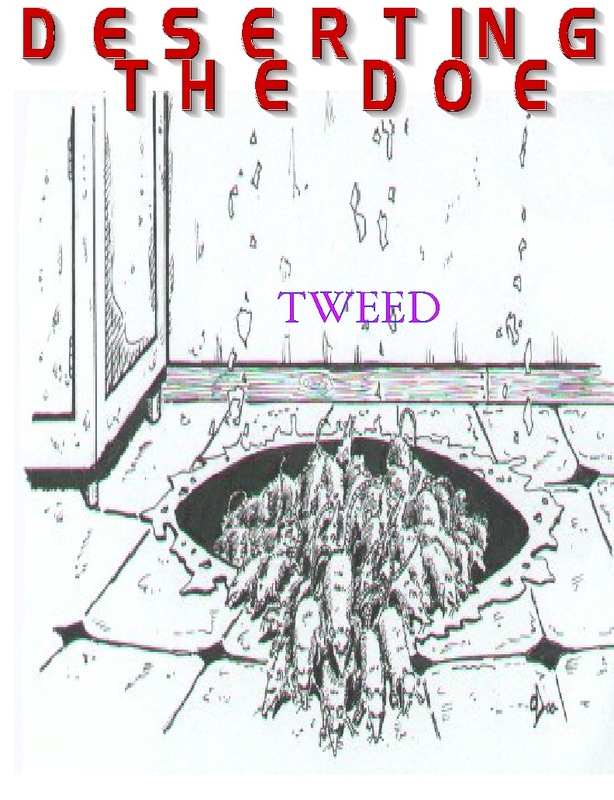 It is very obvious that Tweed wants to fire the teachers who the DOE considers "deadwood". 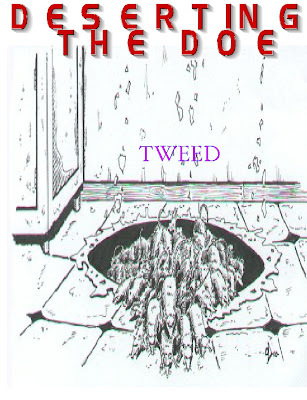 Teachers who survived the Tweed inspired inquisition, highly salaried teachers, and teachers who ran afoul of a vindictive and insecure Principal. By shorting the attrition rate they can sneak in an additional thousand senior teachers for "firings". Astoundingly, if one looks at the latest IBO It appears in the latest budget the DOE expects to increase the Central Administration by 10% and reduce the direct funding to schools significantly. Maybe somebody should show this to the Governor's Office Moreover, the NYC DOE has increased their headcount by 16,360 employees since Bloomberg became Mayor, or is that Emperor? Only 1,000 of them were teachers., Why has he not proposed any cuts there? 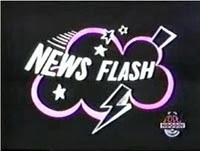 How about the obscenely bloated computer services that Juan Gonzalez reported on in today's Daily News? Why? Instead they threaten to reduce the teaching staff by over 6,000. It doesn't take a rocket scientist to figure this out. The answer is he is scapegoating teachers and disrespecting the profession in trying to peruse his "education on the cheap" policy. It is just unbelievable that the mass Media does not ask the questions they need to. Instead they swallow the Bloomberg lies "hook line and sinker". Luckily Governor Andrew Cuomo sees it for what it is, a political fraud. Some Questions On What Happened To The 744 "Rubber Room" Teachers. Do The DOE Numbers Make Sense? Yesterday the DOE released some statistics on what had happened to the 744 "rubber room" teachers and broke them down. While some of the numbers seem to make sense, there are some questions about the numbers assigned to certain categories. The New York Times, The New York Daily News, and the New York Post all had articles on the statistics and based upon what I had read, I must question some of the numbers that were assigned to different categories. However, let me first tell you which statistics appear to be correct. 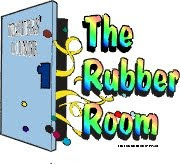 The number of "rubber room" teachers was listed at 744. This number appears to be correct. Interestingly, both the DOE and the UFT had claimed the number was much smaller at the time of the "rubber room agreement". Both groups had numbers ranging from 550 to 650 respectively. I guess the DOE and UFT were embarrassed about the continuing increase in reassigned teachers as principals saw their last chance to get rid of the senior teachers they didn't want or like and get them off their payroll before the summer. Also the number of teachers who were terminated, 59, or a 8% termination rate, at first glance this number seems to be a tad low when compared to the 10% termination rate on the average. In addition, I have seen about a 10% termination rate during my almost 5 year DOE incarceration. , However, some teachers who started their hearings probably were going to be terminated and took deals to resign or retire in mid-hearing and this group is part of the 121 who resigned or retired by now. Moreover, there are 83 cases unresolved and that if you follow the 10% termination rule you can add an additional 8 educators to the termination list. Consequently, the 10% termination rate average appears to be correct based upon the numbers. What appears questionable is the number of teachers "cleared". According to the DOE numbers 200 of the 744 educators were "cleared" and sent back to school. However, this numbers appears to be deceiving. First, only 5% of the teachers who showed up in the Queens reassignment center were ever sent back without 3020-a charges and some of them did receive disciplinary letters and should not be considered "cleared". It is difficult to determine which group the DOE put these educators in but I must assume they were considered "cleared". Otherwise the discrepancy is even wider. Assuming the same 5% holds in the other TRC's that would come out to only 37 educators not 200. Even if you add the 4% acquittal rate, this would only add another 30 educators giving a total of 67. What accounts for this discrepancy? Maybe it is how the DOE uses the word "cleared". In some settlements the DOE drops all 3020-a charges and gives the teacher a "neutral recommendation" in exchange for the educator to resign from the DOE at the end of the school year (June 2011). This could account for the large discrepancy in the numbers since many teachers accused of PIP+ for example took such deals and have been returned to the classrooms to finish out the school year teaching and their career in the NYC Public Schools. Therefore, the DOE's definition of "cleared" can be misleading. It would appear that the DOE definition of "cleared" is very different then what you and I might think. By the way you are only really "cleared" if you are taken off the ineligible list for employment in the DOE and since the settlements say that you agreed to irrevocably resign or retire, you stay on the ineligible list forever! It would be interesting if the DOE numbers were verified by the UFT/NYSUT and how they would break down the same numbers and why did they decide now to give them to the media? What Is "Merit" When It Comes To Teachers? Of Course If You Ask The Education Reformers They Are Clueless On How To Define "Merit." In the last month I have seen two commercials by Joel Klein's Education Reform group how New York State should end "last in, first out" or LIFO by replacing it with merit and accountability, primarily based on standardized tests. The problem is that nobody has really found a quantitative way to determine "merit". Sure they claim that you just look at the standardized test grades of the teacher's students to determine "merit". However, it really takes two, three, and even four years to see if the students actually improved above the statistical average when compared to their peers. On the other hand, many quality teachers do best with struggling students and principals try to put these students with those teachers. However, if these students are compared to more academic inclined students, they would not achieve the academic level that would show the teacher is "great" and could be rated "ineffective", when in fact, the teacher did a great job keeping her challenging students on track academically. It would not be difficult for a vindictive Administration who wants to get rid of teachers they don't like or want by comparing "apples and oranges" by claiming they both are fruit. Any teacher evaluation system would require stringent safeguards to ensure that the Administration cannot abuse the process as Tweed does now. Furthermore, the teaching to the test syndrome has not advanced student academic achievement but inhibited it. Many schools are so focused on test preparation that the children do not get adequate Science, Social Studies, Gym, and Arts education. Yet principals will determine merit and accountability based upon a single standardized test in Math and English. Incredible but true. Even when incentives are added, it had a negligible effect on student performance. Exhibit "A" was the NYC $75 million teacher initiative program for 200 high-need schools which showed almost no improvement in student academic achievement. In fact, the NYC "teacher data reports" are so flawed that they had teachers listed for teaching the wrong classes. Yet Tweed wants to use this as a biases for terminating teachers. While it might be possible to find a fair and unbiased teacher evaluation method eventually, there is not one now and I doubt if one can be developed before 2013. 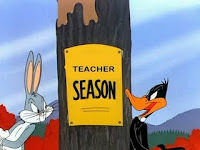 Mayor Bloomberg's Real Plan Is To Fire The Experienced Teachers The DOE Does Not Want Or Like & Replace Them With "Newbie Teachers". Defenders of Mayor Bloomberg's plan to layoff teachers based upon a DOE list of teachers they wanted fired but failed in that attempt were very disappointed when Governor Andrew Cuomo and The Assembly put and end to the Mayor's attack on "last in, first out" (LIFO). The defenders of the Bloomberg Bill cast it as reform but what it really is far more sinister. If you carefully read into this statement you will realize that if implemented, it would allow the Mayor and Chancellor the right to fire whatever teacher they pleased and even if there was no financial emergency for teacher layoffs, they can still fire the teachers they don't want or like and hire "newbie teachers". For example School "X" is scheduled to lose 3 teaching positions. All of the three were selected by Tweed for firing based upon the theirs and the Principal's recommendation (salary, ageism, discrimination, favoritism, etc). The three experienced teachers are laid off as of June 28, 2011. During the summer the City quietly tells the Principal that the three positions have been returned to the school and that she can hire whomever she wants. Knowing that she is constrained by the Tweed imposed "fair student funding" formula she hires three "newbie teachers" rather than rehire the experienced teachers she let go. As for the three experienced teachers? They are effectively fired! Worse, once the above statement is implemented, the Mayor and Chancellor could use it year after year to get rid of experienced teachers. Bloomberg's bill is simply an end run around the unions collective bargaining rights and New York State's Civil Service Law. Most interesting about Mayor Bloomberg's attack on teachers is that he wants to eliminate 4,666 teachers while only proposing to layoff 823 other City employees. That is 85% of the total layoffs. Furthermore, he only assumes 1,500 teachers leaving the system when the average in the last two years averaged 2,500. While the low balling? The answer is very simple. He can still fire the 4,666 teachers and save even more money (and sharply increase class size) and let Tweed do with the windfall as they see fit, like hiring more consultants or non-educators that have no direct application to the classroom and the children. It is a pity that the general public cannot see through what Mayor Bloomberg is doing to destroy the NYC Public School System but as as long as he has the News media in his back pocket, we must depend on our union and the allies in the New York State Assembly to protect our "due process rights" Because nobody else will. Mayor Bloomberg Claims Teacher Experience Is Irrelevant. Well, Here Is Some News For You, Teacher Experience Is Correlated With Student Achievement. His Emperor, Mayor4Life, Michael Bloomberg, claims that teacher experience does not count. In fact he is quoted in saying that teacher experience is irrelevant in the classroom. You might think that I am making this up but I am not and NY1 has the astounding Bloomberg statement Here. In his attempts to demonize senior teachers he has now gone beyond reason with the bogus statement the teaching experience does not count. It would seem that a "newbie teacher" has just as much classroom control and curriculum knowledge as a ten year veteran. Of course, the truth and educational studies show otherwise. Leoine Haimson wrote an article that includes various studies that correlate teacher experience with student achievement. In no case does it show that a "newbie teacher" can compete with an experienced teacher when it comes to student academic achievement. You can found her article and the studies Here. I guess the Mayor is so desperate to get rid of senior teachers and save money that he has fallen off the cliff of reason. Even his ed deformer friends don't back him on his "teacher experience is irrelevant" statement. I am sure they cringed on that statement because it blatantly exposes Bloomberg's agenda which is "children last" and "education on the cheap"policies. Mayor Bloomberg wants to go down as the "education Mayor". Maybe it is time that he went into the classroom and try to teach so that he can know what he is talking about. 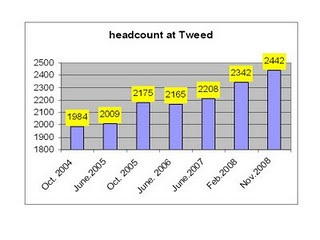 Why Does The Media Ignore The Fact That Bloomberg Does Not Demand Significant Headcount Reductions At Tweed? It is well known by now that Mayor Bloomberg has threatened to layoff over 4,600 teachers. This is addition oi the 4,400 teachers who were or will not be replaced when they left or are leaving the schools in the last three years. However, the Mayor has remained strangely silent about the lack of a reduction in the headcount or consultant services at Tweed? Why? Furthermore, the media has ignored this and I can't help to wonder why? Are the news media complacent with the Bloomberg/Blachk Administration to demonize senior teachers while ignoring the real issues at the DOE? But the DOE’s own reporting doesn’t add up. They show 4,663 positions in December 2007 (mid-FY08) in central administration and school support organizations. In April 2010 they had only reduced this to 4,449; a decrease of only 214 positions, or less than 5%. Only 21 positions were reduced from central administration. Further, the department’s own figures show some central office staffing jumped as much as 30 percent under this administration, with non-pedagogical departments such as assessment and accountability, human resources, public affairs, and information technology growing dramatically. The DOE legal department has nearly doubled in size in the last nine years, and financial operations expanded from 174 to 267 during the same period. The media really should do an investigative analysis on the DOE's lack of transparency and how money is actually allocated in the Central Bureaucracy instead of droning pathetically on LIFO. At least the New York Daily News wrote an article on how Tweed is increasing its budget by 24 million dollars for more computer contractors while laying off 4,600 teachers. Even they seem to smell a rat here. Previously, the New York Post had reported that there was an increase of 16,360 employees at the DOE since Bloomberg became Mayor and questioned the projected budget. By, contrast the teacher population remained relatively, stable, during the same period, initially increasing by 4,000 but with attrition the last two years the net increase is less than 1,000 teachers, not including the additional 1,500 to 2,000 teachers leaving the system at the end of this school year. Let's see if the New York media starts asking the right questions on why is the Bloomberg/Black Administration is not asking for serious headcount and consultant reductions at Tweed while demanding the layoff of 4,600 teachers winch has a direct impact on the classroom? If the news media really cares about the children as they claim then they need to follow where the money goes in the DOE. Bloomberg Loses Out On Eliminating LIFO On His Terms. However, Do The Teachers Lose In The Long Run? In what is a major (and expected) defeat to Mayor Bloomberg. His court jester, Jonathan Bing's bill is "dead in the water". 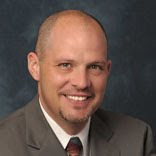 Shelden Silver has publicly stated that the Assembly will not take up the bill to end seniority-based layoffs for "last in, first out" (LIFO) in this session. That effectively puts an end to Bloomberg's attempt to get rid of teachers that he does not like. To make matters worse for Bllomberg, the Governor Andrew Cuomo, has also rejected the Bloomberg proposal and proposed his own teacher evaluation process that mirrors RttT. There is little doubt that the Mayor is upset that he could not get what he wants. 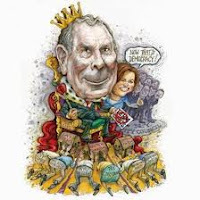 The question now is what will the Emperor, Mayor4Life Michael Bloomberg do now? Unlike Providence Rhode Island he cannot fire the entire teaching staff. New York State law is much more stringent than Rhode Island's when it comes to mass firings. The New York State Civil Service Law is iron-clad when it comes to this. Any civil servant will be rehired based upon a seniority list, no exceptions, Therefore, Bloomberg can fire all the teachers but will be required to rehire them based upon seniority. This draconian approach might encourage some teachers to leave the profession but not many and It will cost the City millions of dollars to implement only to eventually not achieve its desired purpose. I truly believe that if Bloomberg actually does issue layoff notices to the entire NYC teaching staff it will backfire in his face as parents, educators, politicians, except for his court jester, Jonathan Bing, will be up in arms and any support he might have will vanish both in the City Council and the State Legislature. The next question will he actually layoff the "newbie teachers"? The short answer is no. We all know he has the money to avoid layoffs. Bloomberg has a 3.1 billion dollar surplus this year and we all know that his 3.6 billion dollar deficit for next year is not real. The only question is will the Mayor simply say that he found money to avoid layoffs? Or will he issue layoff notices to the "newbies" only to rescind them during the summer and risk losing some of them to other school districts or other professions. My guess he will do the latter since he loves the attention he will get by issuing layoffs only to rescind them based upon his great management style and what is best for the children. The real question is what happens to LIFO in the future. It is highly likely that LIFO as we know it will be gone by the next Presidential election and it was disappointing how the entire Republican Senate voted for eliminating LIFO for New York City. The unions should eventually make the Republicans and those two treasonous Democrats pay for their blatant effort in destroying LIFO for New York City teachers as the first step in dismantling public worker Civil Service protections in New York State. As for the UFT and NYSUT, they should do whatever it takes to make sure that the teacher evaluation system is fair and unbiased and not just a "fig leaf" for vindictive Principals to remove teachers they don't like. It is time that the New York State unions use their tremendous power to let politicians know there are consequences to voting against Civil Service protections and those consequences can lead to their losing the next election. To the Republicans who voted for this political travesty by Bloomberg, I will do everything in my power to see you removed from office and of course that goes for those treasonous Democrats that voted for the Emperor's favor over their constituent's needs. We need to fight Bloomberg and his political whores every step of the way to ensure we keep our Civil Service protections and "due process" rights.